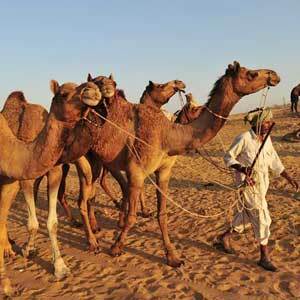 India’s largest cattle mela, featuring both camel trades and races, is a week-long cultural celebration that’s also a religious occasion whose end coincides with Kartik Poornima, the full moon day. 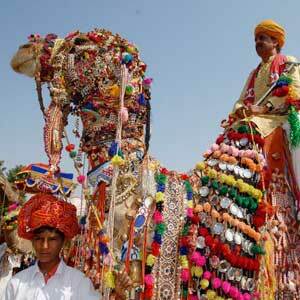 This year, the Pushkar Fair in Rajasthan will be held from November 20 to 28. 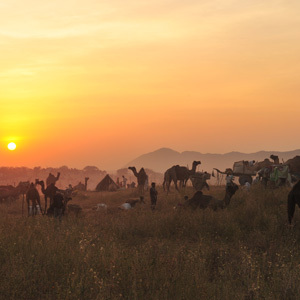 Fifty weeks of the year, Pushkar is a small town, a touch off the beaten path. 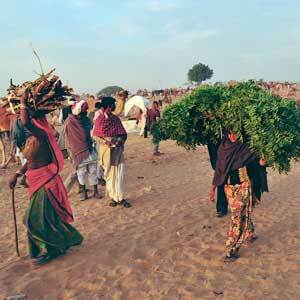 Its sleepy nature changes radically each fall during the Pushkar Camel Fair. 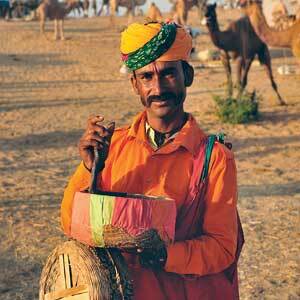 Luxury tent hotels are set up all around Pushkar for the throngs of visitors to the fair. My tent included a private bath and shower, luxury indeed. The fairgrounds themselves cannot be described as luxury, but it is a festival for the senses. When you first arrive at the fairgrounds, you are surrounded by people hawking their wares to the tourists and folks in colorful garb vying for your attention. The grounds themselves are shrouded in a cloud of dust and low-hanging blue smoke from dung fires, but the animals and their keepers extend for as far as the eye can see. My sister had been there the year before, so I knew to be on the alert for the teenage girls in heavy makeup. Their trick is to offer to “model” for a photograph as well as grab your hand to paint with henna—without your consent—in exchange for a payment that they do not disclose is required until after your hand is covered in a less than artistic goo. 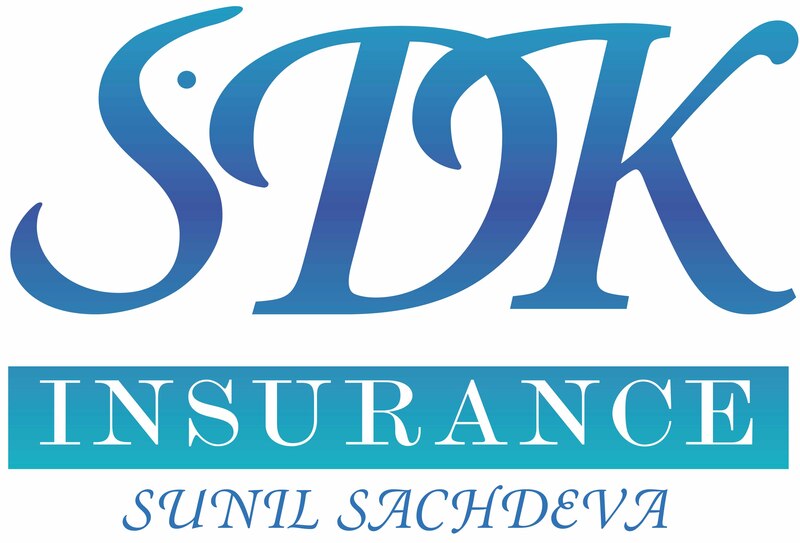 And everywhere you go you also run into snake charmers dressed in their bright yellow garb seeking to entertain you, for a fee, with their basket-dwelling cobras. But if you dig beyond the surface peddlers plying to the tourist trade, you find the real beauty of the fair. The families that come to trade their animals are warm, friendly and engaging. They are happy to pose with their beautifully decorated camels, and to invite you to share chai with them. These moments of shared experience are well worth the visit. I felt richer for having taken in the sights of the fair. Vicki Smith is a photographer based in Kansas City, Missouri.